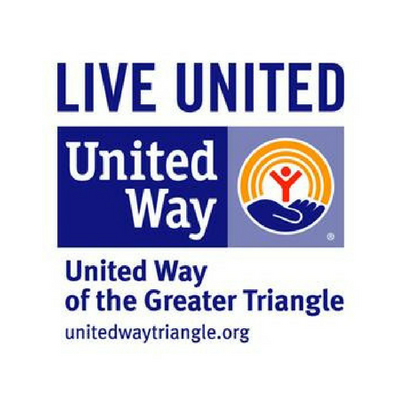 RESEARCH TRIANGLE PARK, N.C.—The Research Triangle Foundation is pleased to announce that United Way of the Greater Triangle has moved to The Frontier campus in RTP. United Way has taken a 5,214 square foot space on the second floor, and the building at 800 Park Offices Drive is now fully leased. The move has transformed the second floor of the building into a nonprofit cluster; Triangle Community Foundation and Triangle Literacy Council occupy the remaining offices on the floor. “United Way of the Greater Triangle is a collaborator, connector, and convener. Being in The Frontier will help us maximize our impact in those roles while also making us more accessible to our partners and the communities we serve,” says Eric Guckian, President and CEO of United Way. The organization’s mission also aligns with collaborative mentality that RTP was built on. “United Way embodies the Triangle Region’s community-minded spirit, and we are thrilled to welcome such an impactful organization to The Frontier at RTP,” says Scott Levitan, president and CEO of the Research Triangle Foundation. The Frontier was represented by Cushman & Wakefield. United Way actively mobilizes the caring power of communities to build resources, focus investments, and foster partnerships to improve lives and inspire generations of achievement in four North Carolina counties: Durham, Johnston, Orange, and Wake. A focus on children and their families in low-income households uses a collaborative, two-generational approach to dramatically change the course of their futures. Located in heart of RTP, The Frontier is an open collaboration destination that can be used by anyone in the community to work, host events or charge up. Made possible by The Research Triangle Park, many of The Frontier’s amenities are free for community use. There’s never any shortage of activity, and all citizens of the Triangle are welcome to use the space as if it were their very own. Find out more at rtp.org/about-us/the-frontier. The Research Triangle Foundation of North Carolina serves the Research Triangle Park, a bellwether institution that was once referred to by Governor Luther Hodges as the “heart and hope of North Carolina.” Situated centrally among Duke University, North Carolina State University and the University of North Carolina at Chapel Hill, RTP contains 7,000 acres, 48,000+ employees, and over 250 companies, including Biogen, Cisco Systems, Credit Suisse, Fidelity Investments, IBM, and RTI International. RTP is also home to The Frontier, a community convening destination at Park Center; and The Lab, an affordable option for wet lab and office space.